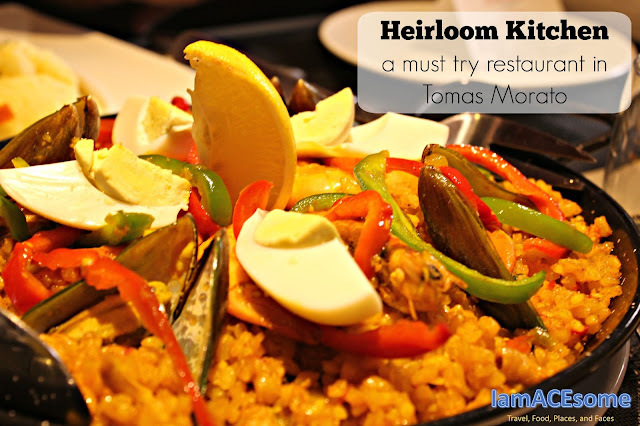 Heirloom Kitchen is one of the newly opened restaurants in Tomas Morato along Sct. Tobias. All dishes are their family recipes even desserts. Heirloom Kitchen will satisfy your hunger for some common food that are delightful. Heirloom Kitchen ensured that uses the freshest ingredients like meat and vegetables that are delivered daily by local suppliers. Food looks more delicious in the way Heirloom Kitchen given the time for their plating and presentation. 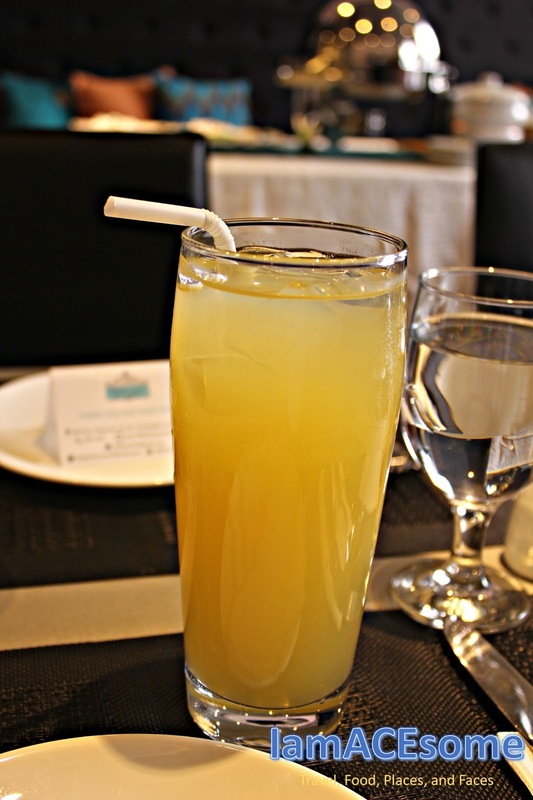 Dishes I have tried that makes my taste buds burst. Paella Valencia, with pork, chicken, and mixed seafood. 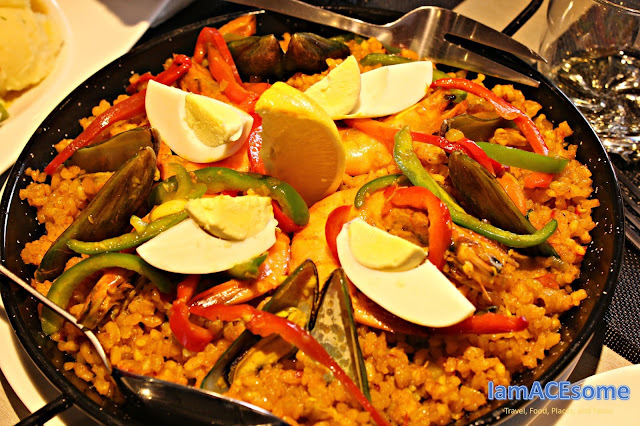 The ingredients they used was so tasteful and even the rice is so different from the paella that I have tasted before and it is mouthwatering. Upon ordering this dish, please allow them for about 20-25 minutes serving time. 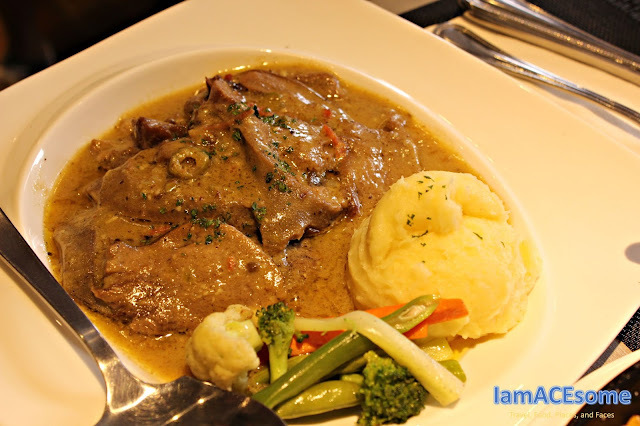 Beef Lengua, with a mushroom cream sauce that served with buttered vegetables and choice of flavored or steamed rice or mashed potatoes. Being said that, it was so special for the chef because of the touch of her mother that makes it as one of the best seller’s dish in Heirloom Kitchen, beef was so tender and juicy, and the sauce is very creamy. It is delicious even more when you added with some mashed potatoes and veggies on the side. Heirloom Kitchen was featured in the Taste Buddies program in GMA News TV and one of the dish that became host favorite is Sinigang na Lechon, from the making of its broth using the real tamarind soup that makes it a perfectly blend of sourness with its fresh veggies and the all-time favorite lechon which make it very yummy. According to Chef Erica, Sinigang na Lechon is a variant of how they enjoy the oversupply of lechon thanks to Lola Pinay. 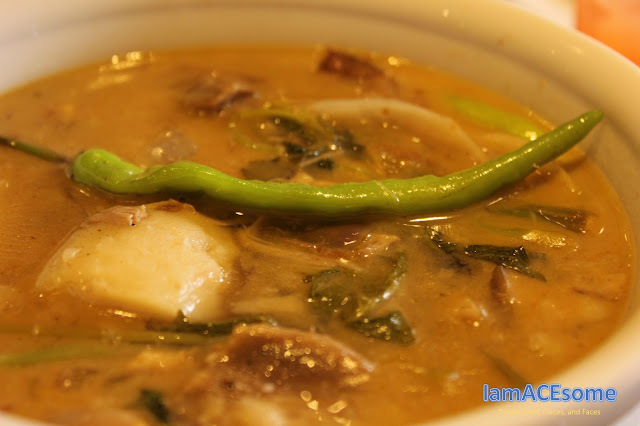 The simmered lechon skin, meat, and bones take sinigang to a whole other level. Spit-roasted pork in tamarind soup with string beans, gabi, radish, and eggplant. How about the desserts? Both desserts they served are very delicious, like Mary Ann’s Chocolate Chip Cookies, when you bite it the chocolate bits melted in my mouth, the sweetness is enough for my cravings and chewiness of the cookie when you bite is really perfect, no doubt why this cookie became their customer favorites that they even bought for takeout. 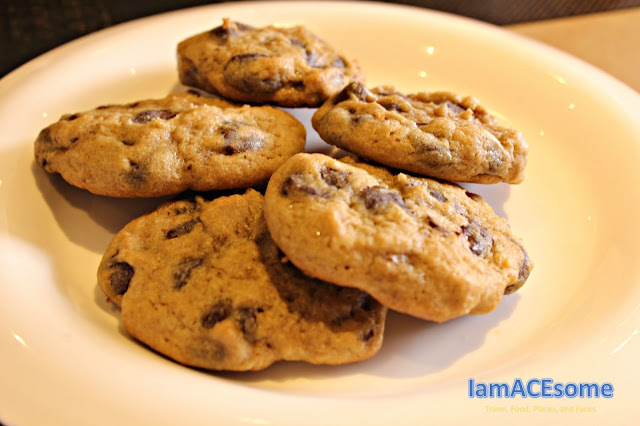 This cookie is an own recipe of Chef Erica youngest sister. The other dessert is the Hot Ginger Banana Brulee, there is a story behind the creation of this dessert. Chef Erica together with her mom, while kayaking in Boracay, both of them chanced upon a lone unassuming beach shack that served “hot ginger bananas”. 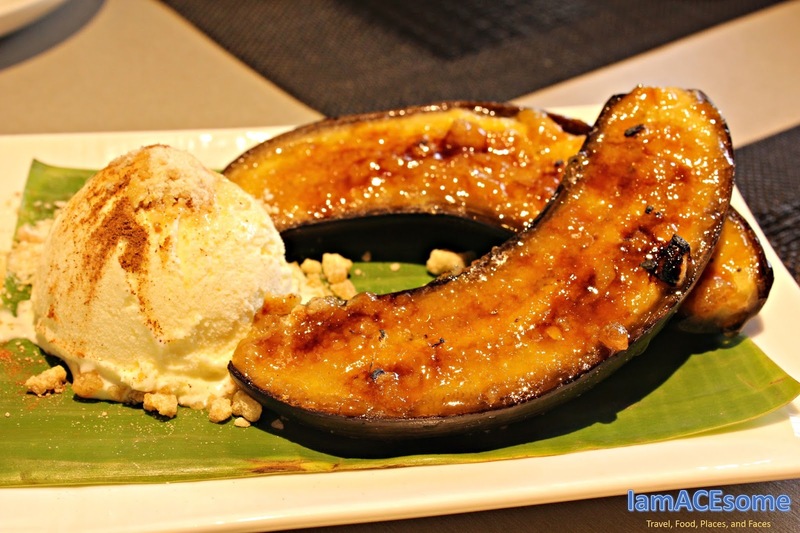 The play on flavor, texture and temperature of their Hot Ginger Banana makes for a dessert that tastes as tantalizing as it sounds. They make it more delicious in adding some ingredients, it is new to me but will probably not forget the taste of this delicious Hot Ginger Banana Brulee with vanilla ice cream. Overall, tasting all the dishes they served in Heirloom Kitchen are heavenly goodness that matched also to my refreshing Dalandan juice drink during the launch of new Leonardo’s Lechon “Carnivore Lechon” which you can check in this link my lechon experience and review, http://www.iamacesome.com/2015/08/leonardos-lechon-heart-of-every.html.